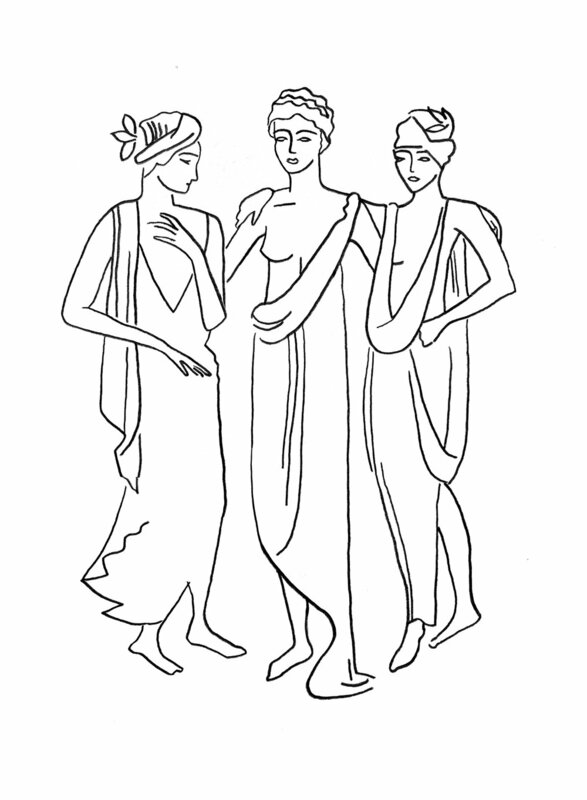 Simplicity, Delight, and Beauty, the Three Graces of ancient mythology, guide all the work of the studio. The studio was founded in 2015 in Chinatown, New York, comingling the complimentary practices of illustration and design. Katherine Moffett (née Irwin) trained at the School of Visual Arts and has designed graphic identity and packaging for fashion, beauty, and lifestyle brands such as Birchbox, Man Repeller, Victoria’s Secret, Marais USA, Avon, StyleLikeU, and Rizzoli. Her illustrations are in the private collections of Julianne Moore, Tom Ford, and Henry Kissinger.